As of 30-March 2018, the Firefox OS Marketplace has been shut down. These pages serve as an archive and reference. Firefox Marketplace is a discovery and distribution platform for web apps. It imbues Mozilla's principles of transparency, user control, and open innovation that locked-down platforms lack. Its mission is to promote a free and open web. Marketplace no longer accepts submissions or updates to apps. 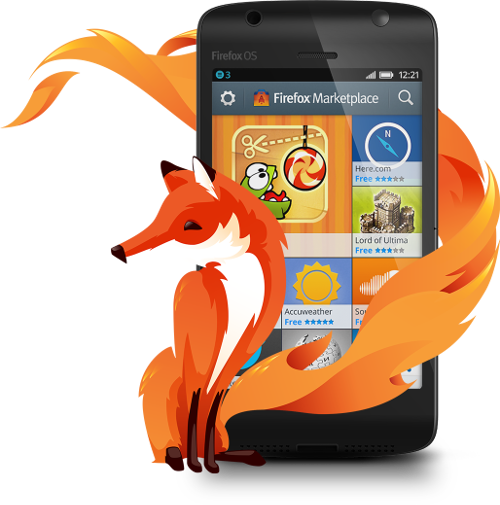 Since Firefox OS has been discontinued as a commercial product, Marketplace is no longer receiving very many submissions. Certain events and reallocation of resources to other areas have led us to make a decision to discontinue app submission. The apps in Marketplace can still be downloaded and function on Firefox OS devices. B2G OS, the open source project based on Firefox OS, can install and run non-privileged, non-packaged web apps from any web site. We are working with other parties on the shared goal of improving the web’s ability to meet the needs of mobile users and, along with Google, Opera, and others, are getting behind the vision of Progressive Web Apps. Apps that run on Desktop and Android no longer function on those platforms since the Web Runtime (WebRT) is removed and is no longer able to install or launch apps. We have removed support for payments, for both paid apps and in-app payments. The web gives developers the freedom to choose any payment method and Firefox Marketplace should not be a gatekeeper. If you have payments set up, it means you may need to change your payment provider, make your app free, and/or move payments to be contained within your app or website. We apologize for any inconvenience this causes. We will continue to allow submissions and updates for free Firefox OS phone apps, and there are millions of users that we will continue to support. Q: Why did you discontinue app submissions to Marketplace. A. App submission had dwindled to a trickle, and most of the the app reviewers, both Mozilla staff and volunteers, have moved to other projects. We had planned to close app submission mid-2017, but circumstances accelerated this timeline to September 2016. Q. What does it mean for applications already in Firefox Marketplace? A. Applications in Marketplace will continue to work on Firefox OS devices. If the app is not listed as compatible with Firefox OS, it has been disabled (not listed in the catalog), but still accessible to the owner on the developer portal. Q. Can I update my app? A. Applications can no longer be updated unless it is a website (not a packaged app that needs to be downloaded) and does not change the location of its manifest. That is simply a website change assuming it uses the same app manifest at the URL of the existing app. While Marketplace is no longer in active development, it is maintained. Any critical or blocking bugs will be addressed as they are reported, and code will be updated regularly (though not as frequently as the previous weekly cadence). Bug triage will happen on the first Tuesday of each month at 5pm Eastern Time, in the Marketplace Vidyo room. Marketplace code will be deployed at 2pm Eastern Time on the second Tuesday of each month. Code will be tagged on the preceding Friday, also at 2pm Eastern Time. This should no longer be necessary, but we will continue to run the process weekly to ensure that any changes are included. This marks bugs that were not deemed necessary to close for Marketplace to be used in maintenance mode. This marks bugs that, while not necessary for Marketplace to exist maintenance mode, would be top priorities (or useful for public or admin users) if Marketplace becomes active again. This marks bugs that have been triaged since the maintenance mode transition began in February 2016. This marks bugs that are suitable for first-time contributors to the Marketplace codebase. See Marketplace/Contributing for more information. This marks bugs that are suitable for regular contributors to the Marketplace codebase or contributors with more advanced skillsets. See Marketplace/Contributing for more information. This page was last modified on 30 March 2018, at 16:17.